Tong(e) Wills & Admons 1940-1950 : Extracts of Tong(e) entries compiled and kindly contributed by Bill Tong of West Sussex (J. W. Tong): abridged extracts taken from the Index held by the Probate Department of the Principle Registry Office of the Family Division – Somerset House and latterly High Holborn. Albert Joshua Edwin Tong – d. 18 May 1940, of Chadwell Heath, Essex – to Margaret Jessie Tong, widow. Alexander Tong - d. 20 August 1940, of Dewsbury, Yorkshire – to Mary Elizabeth Tong and Margaret Denton Tong, spinsters. Edith May Tong – d. 25 February 1940, of Beaumont, Jersey, wife of Walter Tong – to Cyril Owen Hockin, solicitor. Francis (Frank) Tong – d. 21 May 1940, of Birkenhead – to Frank Tong, fish salesman. Hayden Arthur Tong – d. 27 November 1939, of Petts wood, Kent - to Elsie Mary Tong, widow. James Henry Tong – d. 25 December 1939, of Derby – to Nancy Tong, widow. John Charles Tong – d. 2 May 1940, of Leyton, Essex – to George Richard Tong, insurance agent. Joseph Tong – d. 3 November 1939, of Dewsbury, Yorkshire – to Thomas Boocock, retired solicitors clerk and James Ernest Hibbert, rag merchants foreman. Walter Henry Tong – d. 13 June 1940, of Southampton – to William Cyril Donovan Tong, draughtsman and Thomas Ralph Plumer Price, solicitor. William Andrew Tong – d. 27 February 1940, of Little Hulton, Lancashire – to Ernest William Mawdsley, solicitor. William James Tong – d. 2 July 1940, of Cheltenham, Gloucestershire – to Barclays Bank and Vincent Henry Collier, company director. Caroline Annie Tonge – d. 15 December 1939, of London SW5, wife of William Corrie Tonge – to William Corrie Tonge, barrister at law and Iris Mary Evelyn Peebles, widow. Elizabeth Allen Tonge – d. 15 May 1940, of Lytham, Lancashire, wife of Thomas Tonge - to Richard Entwhistle, engineer and Harrison Mellor Haslam, solicitor. Emma Tonge – d. 4 February 1940, of Heywood, Lancashire, wife of Loynd Tonge – to the said Loynd Tonge, of no occupation. Ernest Tonge – d. 15 August 1940, of Middleton, Lancashire – to Clara Tonge, widow. Fred Tonge – d. 31 October 1939, of Bolton, Lancashire – to Mary Alice Tonge, widow. Gerald Freeman Morton Tonge – d. 25 June 1939, of Portslade, Sussex – to Winifred Edith Tonge, widow. John Henry Tonge – d. 17 July 1940, of Fulwood, Lancashire – to William Allison Davies, borough treasurer and William Reginald Stevens, railway official. Mary Tonge – d. 6 June 1940, of Farnworth, Lancashire, widow – to Robert Tonge, machine fitter. Mary Ellen Tonge – d. 18 April 1940, of Kearsley, Lancashire, widow – to Fred Tonge, printer. Sarah Tonge – d. 27 March 1940, of Whiston, Lancashire, widow – to John Tonge, miner. William Henry Tonge – d. 7 January 1940, of Warrington, Cheshire – to Clara Tonge, widow. Annie Tong – d. 1 August 1941, of Kearsley, Lancashire, wife of Thomas Tong – to the said Thomas Tong, master motor body builder. Emma Tong – d. 14 April 1941, of Lincoln – to Mary Ann Tong, spinster. Reginald West Tong – d. 30 October 1941, of Penge, Kent – to Annie Mary Ann Tong, widow. Thomas Tong – d. 14 December 1940, of Pershore, Worcestershire – to Harold Francis Tong, farmer. Wilfred Henry Tong – d. 15 November 1940, of Coventry, Warwickshire – to Marjorie Olive Tong, widow. Albert Tonge – d. 23 June 1937, of Royton, Lancashire – to Alice Tonge, spinster. Alice Tonge – d. 9 April 1941, of Chadderton, Lancashire, spinster – to Thomas William Buckley, superintendent road foreman and James Tonge, machine fitter. Alicia Tonge – d. 7 November 1940, of Sittingbourne, Kent, spinster – to Tom Bennett Bishop, solicitor. Mary Jane Tonge – d. 25 February 1941, of Wavertree, Liverpool, spinster – to Emily Tonge, spinster. Ralph Tonge – d. 20 March 1941, of Bolton, Lancashire – to John Tonge, fire watcher. Sarah Ann Tonge – d. 13 February 1941, of Wavertree, Liverpool, spinster – to Emily Tonge, spinster. Sarah Ann Tonge – d. 13 August 1941, of Ramsbottom, Lancashire, widow – to Annie Tonge, spinster. Alfred Edwin Tong – d. 26 November 1941, of Ilford, Essex – to Mary Louisa Tong, widow and Winifred Emma Louisa Tong, spinster. Annie Eliza Tong – d. 4 July 1942, of Leeds, Yorkshire, widow – to Mabel Lillian Pickard, wife of John Ambrose Pickard and Rupert Francis Tong, electrical fitter. Frank Tong – d. 11 June 1942, of Maidstone, Kent – to Charles Harold Ellis, solicitor. Harriet Ann Tong – d. 26 July 1942, of Porthcawl, Glamorgan, widow – to Annie Emery Everett, widow and Frederick John Bedford, commercial traveller. Jane Elizabeth Tong – d. 1 March 1942, of Romford, Essex, widow – to Hector Baden Tong, contracts clerk. Louisa Tong – d. 12 May 1942, of Snodland, Kent, widow – to George Alfred Tobin, paper mill fitter and Arthur Frankland Sabine, retired railway clerk. Sarah Tong – d. 3 February 1942, of Rochester, Kent, widow – to Frederick John Tong, skilled labourer. Sarah Tong – d. 9 February 1942, of Maidstone, Kent, wife of Frank Tong – to Charles Harold Ellis, solicitor. Thomas William Tong – d. 9 July 1942, of Southampton – to William Thomas Donovan Tong, draughtsman. Walter Tong – d. 18 December 1941, of Barrow on Humber, Lincolnshire – to George Farr and Ruxton Wood, both of no occupation. William Tong – d. 18 August 1941, of Fowey, Cornwall – to Mary Agnes Ellen Tong, widow. William Tong – d. 5 October 1941, of Cleveleys, Lancashire – to Samuel Travis Tong, pilot officer RAF and Thomas Cunliffe Booth, lance corporal HM Army. Augusta Mary/May Tonge – d. 30 November 1941, of Cheveley, Cambridgeshire, widow – to Gertrude Violet Kathleen Spurrell, wife of William James Spurrell and Kenneth Thomas, solicitor. Charles Tonge – d. 19 April 1942, of Ashton on Mersey, Cheshire – to Frank Tonge, journeyman joiner. Charles Edward Tonge – d. 10 March 1942, of Holland Park, London – to Florence Beatrice Tonge, widow. Clifford Robert Tonge – d. 24 December 1941, of Methyr Tydfill, Glamorgan – to Ambrose James Robert Tonge, railway engine driver. Ellen Tonge – d. 14 April 1942, of Stockport, Cheshire, wife of William Woodruffe Tonge – to the said William Woodruffe Tonge, omnibus cleaner. Harry Clifford Tonge – d. 29 August 1941(war service), of Bournemouth, Hampshire – to Dorothy Catherine Tonge, widow. Helen Mary Tonge – d. 11 May 1941, of Beckenham, Kent, spinster – to Barbara Joan Whayman, spinster. Henry Edward Tonge – d. 8 March 1942, of Barrow in Furness, Lancashire – to Ada Elizabeth Tonge, widow. John Tonge – d. 25 January 1942, of Epworth, Lincolnshire – to Robert William Tonge, solicitors clerk and Robert Kelsey Tonge, schoolmaster. Joseph Tonge – d. 12 August 1942, of Bolton, Lancashire – to John Thornley, civil servant and Alice Hazelhurst, widow. Margaret Alice Tonge – d. 4 January 1942, of Bolton, Lancashire, spinster – to Lily Bennett, spinster. Mary Tonge – d. 11 May 1941, of Little Hulton, Lancashire, spinster – to Ernest Tonge, builder, Oliver Howarth, electrical engineer and John Hopkins, solicitor. Ralph Tonge – d. 4 April 1942, of Bolton, Lancashire – to Bessie Tonge, spinster. Robert Tonge – d. 27 April 1942, of Bolton, Lancashire – to William Nicholson Tonge, colliery agent and Kenneth Fairbrother, solicitor. Charles Tong – d. 21 July 1943, of Bridlington, Yorkshire – to Amy Tong, widow. Cyril Joseph Tong – d. 1 February 1943, of Romsey, Hampshire – to Ethel Maud Tong, widow and William Dutton, grocer. Eric Calvert Tong – d. 21 May 1943, of Bolton, Lancashire – to Joyce Tong, widow. George Tong – d. 3 March 1943, of St Margarets, Middlesex – to Mary Matilda Tong, widow. George Ernest Tong – d. 1 January 1943, of Bourne, Lincolnshire – to Rex Dennis Hyem and Horace Mills Alderson Stanton, solicitors. Minnie Tong – d. 12 June 1943, of Waddington, Lincolnshire, wife of Charles Hazelwood Tong – to the said Charles Hazelwood Tong, land agent. William Thomas Tong – d. 25 May 1943, of Reigate, Surrey – to Emma Jane Tong, widow. Alfred Tonge – d. 13 April 1943, of Radcliffe, Lancashire – to Mary Ann Tonge, widow. Annie Margaret Tonge – d. 23 September 1943, of Hoddeston, Hertfordshire, spinster – to Emma Mary Tonge, spinster. Arthur Tonge – d. 13 October 1942, of Retford, Nottinghamshire – to Annie Maud Tonge, widow and Frank Tonge, farmer. Bertha Emily Tonge – d. 28 January 1943, of West Kirby, Cheshire, spinster – to Alfred Charles Leicester, retired warehouse manager and Claude Geldart Coventry, chemist and optician. Charles Robert Tonge – d. 4 April 1943, of Colehill, Dorset – to Laura Tonge, widow. Elizabeth Tonge – d. 17 October 1942, of Audenshaw, Lancashire, widow – to Elsie Jones, married woman. Emily Tonge – d. 31 July 1943, of Walkden, Lancashire, spinster – to Sarah Seddon, married woman. Ernest William Tonge – d. 15 January 1942, of Potters Bar, Middlesex – to Beatrice Lilian Tonge, widow. Florence Beatrice Tonge – d. 23 March 1943, of Holland Park, London, widow – to Florence Anne Wentworth Avis, wife of Harold Wentworth Avis and Thomas Irwin Tonge, coach trimmer. Geoffrey Tonge – d. 9 April 1943, of Sale, Cheshire – to Evelyn Tonge,widow. Very Reverend George Preston Tonge – d. 22 September 1942, of Oban, Argyllshire – confirmation of John Harvey, writer to the Signet. James Tonge – d. 22 July 1943, of Crompton, Lancashire – to Ellen Tonge, widow. John Tonge – d. 14 November 1943, of Bolton, Lancashire – to Annie Tonge, widow. John William Tonge – 10 July 1943, of Salford, Lancashire – to Hannah Tonge, widow. Mary Tonge – d. 22 April 1943, of Carrington, Cheshire, wife of William Tonge – to the said William Tonge of no occupation and Ernest Samuel, maintenance engineer. Mary Isobel Tonge – 13 October 1942, of Shawbury, Shropshire, spinster – to Adeline Constance Tonge, wife of Charles Percival Tonge. Roland Tonge – d. 9 September 1943, of Llandudno, Carnarvenshire – to Joseph Allured, chartered accountant and Helen Tonge,widow. Sarah Jane Maw Tonge – d. 4 June 1943, of Gravesend, Kent, spinster – to the Public Trustee. Thomas Tonge – d. 14 January 1943, of Lytham, Lancashire – to the Midland Bank Trustee. William Corrie Tonge – d. 2 May 1943, of Kensington, Middlesex – to William John Corrie Tonge, squadron leader RAF. Alice Tong – d. 7 August 1944, of Wigan, Lancashire, spinster – to Margaret Ann Howarth, spinster and John William Howarth, schoolmaster. Annie Lapthorne Tong – d. 7 December 1943, of Bodmin, Cornwall, widow – to Ethel Maud Tong, widow and William Button, grocer. Charles Tong – d. 7 August 1943, of Tettenhall, Staffordshire – to Sarah Elizabeth, widow. Ernest Edward Tong – d. 21 March 1944, of Boughton under the Beam, Kent – to Ruth Alice Tong, widow. Frederick August Tong – d. 16 December 1942 (Stockholm), of the British Embassy, Moscow – to Gertrude Margaret Tong. Harold Tong – d. 28 September 1943, of Oldham, Lancashire – to Florence Mary Tong, widow. Laura Hannah Frances Tong – d. 21 May 1944, of Chartham, Kent, widow – to Lloyds Bank Ltd.
Margaret Denton Tong – d. 24 August 1944, of Dewsbury, Yorkshire, spinster – to Mary Elizabeth Tong and Edith Victoria Tong, spinsters. Mary Ann Tong – d. 13 November 1943, of Derby, wife of Thomas Benjamin Tong – to the said Thomas Benjamin Tong, of no occupation and Olive Mary Hunt, wife of John Hunt. Nancy Tong – d. 22 October 1944, of Littleover, Derbyshire, widow – to Percy Salter, solicitors clerk and Edith Annie Andrew, wife of Frank Arthur Andrew. Rosanna Tong – 3 April 1944, of Bolton, Lancashire, spinster – to Albert Fothergill, grocery warehouseman. Smith Tong – d. 1 December 1943, of Barnsley, Yorkshire – to Vinnie Tong, widow. Thomas Tong – d. 19 February 1944, of Worksop, Nottinghamshire – to Joseph Tong, coalminer. Alice Tonge – d. 18 February 1944, of Kirmington, Lincolnshire, spinster – to Frederic Tonge, retired insurance agent. Edith Annie Eliza Tonge – d. 30 November 1943, of St Anne’s on Sea, Lancashire, spinster - to Tamina Emmeline Tonge, spinster. Elizabeth Bertha Tonge or Turner – d. 22 January 1944, of Oban, Scotland, widow – confirmation of Griselda Mary Ross Tonge or Cooper. Ellen Tonge – d. 21 July 1944, of Crompton, Lancashire widow – to Lucy Uttley, spinster and Arthur Uttley, farmer and grocer. Emma Tonge – 26 September 1944, of Radcliffe, Lancashire, wife of Joseph Tonge – to the said Joseph Tonge, foreman finisher. George Tonge – d. 2 March 1944, of Horwich, Lancashire – to George Tonge, brass finisher. Lily Tonge – d. 9 April 1944, of Harrogate, Yorkshire, widow – to Dorothy Dagmar Stanton, wife of George Alfred Stanton. Martha Rose Tonge – d. 3 December 1943, of Guildford, Surrey, spinster – to Kate Annie Tonge, spinster. Mary Ann Ellen Tonge – d. 17 March 1944, of Kentish Town, Middlesex, spinster – to Lucy Elizabeth Strong, widow. May Tonge – d. 22 August 1944, of Newton le Willows, Lancashire, wife of Alec Tonge – to the said Alec Tonge, railway works superintendent. Ronald Tonge – d. 13 December 1943, of Thorne, Doncaster – to Anne Evelyn Tonge, widow. Roy Tonge – d. 30 September 1943 (war service), of Farnworth, Lancashire – to Betty Tonge, widow. Samuel Tonge – d. 11 November 1943, of Swinton, Manchester – to Bertha Hardisty Tonge, widow. Thomas Tonge – d. 26 February 1944, of Southport, Lancashire – to George Crowther Tonge, marine engineer. William Charles Tonge – d. 19 March 1944, of Broughton, Lincolnshire – to the National Provincial Bank. Ellen Tong – d. 9 October 1945, of Bolton, Lancashire, wife of James Linton Green Tong – to the said James Linton Green Tong, of no occupation. Esther Tong – d. 16 December 1944, of Bolton, Lancashire, spinster – to Ethel Crook, spinster. Gladys Ethel Tong – d. 3 October 1945, of Lincoln, wife of Thomas Edward Tong – to the said Thomas Edward Tong, automobile association inspector. James Tong – d. 5 September 1945, of Enfield, Middlesex – to Dorothy Emily Tong, spinster. John Thomas Tong – d. 18 February 1944, of Bolton, Lancashire – to Harriett Pearson, married woman and Thomas Winward Pearson, hairdresser. Josiah Edward Tong – d. 13 January 1945, of Maidstone, Kent – to Edward Clayton Tong, fitter. Ronald Frederick Leonard Tong – d. 10 January 1945 (war service), of Gravesend, Kent – to Kathleen Patricia Tong, widow. Rose Emily Tong – d. 6 April 1945, of Ilford, Essex, spinster – to James Thomas Tong, retired builder’s ganger. Sarah Tong – d. 17 February 1945, of Leeds, Yorkshire, wife of Walter Tong the elder – to Walter Tong the younger, commercial clerk and Dorothy Elizabeth Hawley, wife of John Henry Hawley. Alfred Tonge – d. 13 July 1945, of Chadderton Lancashire – to Fred Tonge, brick setter and Frank Whittaker, solicitor. Elsie Minnie Tonge – d. 7 October 1944, of Acton, Middlesex, widow – to Robert Knowles, electrician. Ernest James Andrew Tonge – d. 20 May 1944, of Prestwich, Manchester – to Maud Tonge, widow. Francis Fletcher Tonge – d. 1 October 1945, of Old Trafford, Manchester – to Alice Tonge, widow. Frederick Alfred Tonge – d. 10 November 1944, of Hull, Yorkshire - to Frances Tonge, widow. Helen Tonge – d. 3 March 1945, of Bolton, Lancashire, wife of Harry Thomson Tonge – to the said Harry Thomson Tonge, schoolmaster and Alice Elton, married woman. Peter Tonge – d. 1 November 1945, of Bolton, Lancashire – to Percy Tonge, fitter. Sarah Ann Tonge – d. 25 October 1944, of Wallsend, Northumberland, wife of Thomas Francis Tonge – to the said Thomas Francis Tonge, nightwatchman. Thomas Tonge – d. 11 October 1945, of Bolton, Lancashire - to Mary Ellen Tonge, widow. Walter Tonge – d. on or since 30 June 1944 (war service), of Langley Moor, County Durham – to Harold Tonge, schoolmaster. William Tonge – d. 23 December 1944, of Misterton, Nottinghamshire – to Arthur Gabitas Mason, commission agent and George Colton, farmer. William Tonge – d. 20 November 1944, of St Helens, Lancashire – to Elizabeth Tonge, widow. William Reginald Tonge – d. 18 December 1944, of Welwick, Yorkshire – to Eliza Emmeline Tonge and Ethel Marguerite Tonge, spinsters. Alice Tong – d. 29 May 1942, of Barrow on Humber, Lincolnshire, wife of James Stanford Tong – to the said James Stanford Tong, bricklayer. Charles Edward Tong – d. 18 February 1946, of Bradford, Yorkshire – to Clara Tong, widow and Herbert Taylor, foreman dyer. Francis James Tong – d. 25 August 1946, of Ewell, Surrey – to Eleanor Mildred Tong, widow. Frederick Thomas Tong – d. on or since 4 December 1944 (war service), of Ashford, Kent – to Barbara Isabella Tong, widow. Olive Nora Tong – d. 21 January 1946, of Farnborough, Hampshire, wife of Edward George Tong – to Thomas John Moore, baker and Elizabeth Mary Moore, wife of Thomas John Moore. Vinnie Tong – d. 1 April 1946, of Saltburn by Sea, Yorkshire – to Elizabeth Clark, widow. William Phares Tong – d. 14 January 1946, of Tipton, Staffordshire – to Lucy Maria Tong, widow. William Pinder Tong – d. 6 April 1946, of Withernsea, Yorkshire – to Elizabeth Groves, widow. Albert Edward Tonge – d. 8 December 1944 (war service), of Stretford, Lancashire – to Elizabeth Jane Tonge, widow. Albert Ernest Tonge – d. 13 March 1946, of Brightmet, Lancashire – to Elizabeth Jane Tonge, widow. Alice Tonge – d. 25 August 1945, of Warrington, Cheshire, widow – to Reginald Beaman, retired licensed victualler and Francis Oliver Stanfield, solicitor. Alice Louisa Tonge – d. 28 October 1945, of Grimsby, Lincolnshire, wife of Frederick Tonge – to George Henry Crowe, solicitor. Ann Tonge – d. 12 December 1943, of Eccles, Lancashire, widow – to William Tonge, foreman. Caroline Tonge – d. 23 November 1946, of Manchester, spinster – to Hannah Tonge, widow. Charlotte Tonge – d. 27 December 1944, of Salford, Manchester, wife of Frederick Tonge – to Frederick Tonge, hatter. Ellen Tonge – d. 26 August 1945, of Bolton, Lancashire, widow – to Noah Tonge, shopkeeper, Elsie Nuttall Tonge and Florence May Tonge, spinsters. Ernest Tonge – d. 7 December 1945, of Radcliffe, Lancashire – to Annie Tonge, widow. Reverend George Ernest Morris Tonge – d. 22 March 1946, of Penzance, Cornwall – to George Martin Morris Tonge, Captain HM Army and Norman Hugh Matthews, solicitor. Henry Sydney Tonge – d. 11 May 1946, of Little Thurrock, Essex – to Annie Elizabeth Tonge, widow. Martha Hilda Tonge – d. 18 March 1946, of York, spinster – to Edith Tonge, spinster. Mary Ellen Tonge – d. 18 September 1946, of Over Hulton, Bolton, Lancashire, widow – to Edward Clough Tonge, chemical engineer, Walter Tonge, engineer and Elsie Tonge, spinster. Ralph Tonge – d. 27 October 1945, of Bolton, Lancashire – to Bessie Howarth, widow. Sarah Tonge – d. 2 September 1946, of Royton Lancashire, wife of James William Tonge – to the said James William Tonge, cotton operator. Sidney Arthur Tonge – d. 7 June 1946, of Penrhyn Bay, Llandudno – to Florence Maud Tonge, widow. Thomas Tonge – d. 4 October 1945, of Little Hulton, Lancashire – to Mary Tonge, widow. Thomas Edwin Tonge – d. 14 June 1946, of Farnworth, Lancashire – to Harry Tonge, bricklayer and Thomas Tonge, vehicle builder. Ada Jane Tong – d. 22 October 1947, of Enfield, Middlesex, widow – to Ethel Tonge, spinster. Albert Tong – d. 19 September 1946, of Balham, London – to Emma Tong, widow. Choong Lang Tong – d. 13 January 1937, of Shanghai, China – to George Melville Dodwell, company director and Frank Allester Mann, company secretary, attorney of Tong PDO KAR. Eva Tong – d. 12 November 1947, of Hull, Yorkshire, wife of Herbert Tong – to the said Herbert Tong, motor lorry driver. Florence May Tong – d. 3 May 1947, of Charlton, Kent, wife of Charles Walter Tong – to the said Charles Walter Tong, engineer. George Tong – d. 8 April 1947, of Halsham, Yorkshire – to Mary Irene Tong, widow and Lillie Dent, wife of William Henry Dent. Gertrude Esther Tong – d. 14 November 1946, of Woodford, Essex, spinster – to Ernest Alfred Robert Tong, staff clerk. Robert Peter Tong – d. 25 February 1945, of St Anne’s on Sea, Lancashire – to Emily Constance Tong, widow and John Monaghan, solicitor’s clerk. Sarah Tong – d. 23 September 1946, of Bolton, Lancashire, wife of Walter Tong – to the said Walter Tong, yarn merchant. William Henry Tong – d. 25 April 1947, of Winterton, Lincolshire – to William Arthur Tong and Leslie Tong, steel workers. William Herbert Tong – d. 6 April 1947, of Hollingbourne, Kent – to Eric Wilfred Tong, schoolmaster. Youe Tong - d. 12 April 1946, of Buxton, Derbyshire – to Elizabeth Reading, married woman. Alfred Tonge – d. 16 October 1946, of Whitefield, Lancashire – to Alice Mary Bashworth, married woman. Arthur Walton Tonge – d. 23 July 1943 (war service), of Llandudno – to Lilian Johnston, widow. Blanche Fitzmaurice Tonge – d. 8 October 1947, of Lincoln, spinster – to Howard Frederick Hobbs, retired colonel HM Army and Charles Reynolds Scorer, solicitor. Daisy Eveline May Tonge – d. 8 June 1947, of Newport, Monmouthshire, wife of Frederick Tonge – to the said Frederick Tonge, retired steel works gas maker. Edith Tonge – d. 30 March 1947, of Farnworth, Lancashire, spinster – to Bertha Haslam, widow. Edith Tonge – d. 31 January 1947, of Maidenhead, Berkshire, spinster – to the Midland Bank Executor & Trustee Co Ltd.
Edward Tonge – d. 10 October 1947, of Stafford – to Hilda Emery, wife of William Emery. Elizabeth Tonge – d. 20 September 1930, of Rixton, Lancashire, spinster – to William Milroy Tonge, farmer. Emma Tonge – d. 29 December 1946, of Doncaster, widow – to Frederick Tonge, miner and John Tonge, poultry farmer. Emma Mary Tonge – d. 4 October 1947, of Bletchley, Buckinghamshire, widow – to Florence Ann Penfold, wife of Harry Archibald Penfold. Hannah Tonge – d. 23 May 1947, of Manchester, widow – to Mary Hulme and Margery Phenix, widows. John Tonge – d. 5 February 1947, of Retford, Nottinghamshire – to Frank Tonge, farmer and John Revill Schofield, poultry farmer. John William Tonge – d. 17 April 1945, of Cleethorpes, Lincolnshire – to Elizabeth Tonge, widow. Joseph Tonge – d. 26 December 1945, of Bolton, Lancashire – to John Tonge, crane driver. Margaret Ann Tonge – d. 31 March 1947, of Stockport, Lancashire, wife of Harry Butler Tonge – to the said Harry Butler Tonge, secretary and Harry Tonge, chiropody student. Mary Tonge – d. 29 December 1946, of Little Hulton, Lancashire, widow – to Herbert Tonge, fruiterer and Florence Howard, married woman. 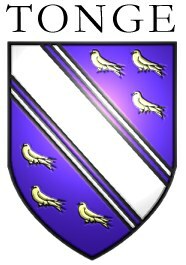 Mary Tonge – d. 17 October 1947, of Doncaster, spinster – to Laura Augusta Violet Abbey, wife of Horace Reginald Abbey and Mabel Proctor, wife of George Holmes Proctor. Mary Tonge – d. 15 October 1947, of Worsley, Lancashire, wife of Ernest Tonge – to Sydney Ashton Tonge and John Tonge, builders and George Fielding Grundy, solicitor. Sophia Tonge – d. 18 February 1947, of Stretford, Lancashire, widow – to Albert Edwin Lewis, insurance official. Alice Tong – d. 25 February 1948, of Belmont, Lancashire, wife of Frank Tong – to the said Frank Tong, plumber. Clara Tong – d. 29 November 1948, of Bradford, Yorkshire, widow – to James Chapman, warping beam setter. Frederick Tong – d. 22 September 1947, of London – to Violet Tong, widow. Kenneth Tong – d. 9 October 1948, of Ashford, Kent – to Elsie Ada Tong, widow and Clara May Tong, married woman. William Tong – d. 5 July 1948, of Farnworth, Lancashire – to Jessie Tong, widow and William Lansdale, solicitor. Annie Tonge – d. 3 December 1948, of Bolton, Lancashire, widow – to William Nicholson Tonge, colliery agent and Edward Grindrod, cashier. Arthur Tonge – d. 4 October 1948, of Sale, Cheshire – to Lily Tonge, widow and George Tonge, retired farmer. Arthur Joseph Tonge – d. 11 July 1948, of Salford, Lancashire – to Enoch Tonge, grocer. Charles Percival Tonge – d. 1 June 1948, of Llanfynydd, Carmarthenshire – to Margaret Genevieve Louise Ashby and Bernadette Dieudonne Williams, married women. Eliza Tonge – d. 9 February 1948, of Forest Hill, London, widow – to Ada Eliza Tonge, spinster and Ernest James Tonge, fire instructor. Florence Tonge – d. 20 October 1948, of Sale, Cheshire, wife of George Tonge – to the said George Tonge, retired farmer. Harry Tonge – d. 24 May (no year stated), of Salford, Lancashire – to Ada Corfield, married woman. James William Tonge – d. 13 June 1948, of Rhyl, Flintshire – to Mary Elizabeth Tonge, widow. Jane Tonge – d. 31 January 1948, of Countisbury, Devon, widow – to John Henry Latham Brewer, solicitor. Jessie Wrigley Tonge – d. 12 February 1948, of Heaton Chapel, Cheshire, widow – to Florence Margaret Paxton Walmsley, widow. Joseph Tonge – d. 31 October 1948, of Radcliffe, Lancashire – to Ethel Mary Tonge, widow. Mary Jane Tonge – d. 24 September 1948, of Timperley, Cheshire, wife of Arthur Tonge – to the said Arthur Tonge, of no occupation. Rosanna Tonge – d. 27 1948, of Bolton, Lancashire, spinster – to Jonathan Tonge, engineer. Sarah Ellen Tonge – d. 26 May 1947, of Stockport, Cheshire, widow – to William Tonge, coal merchant. Sarah Hannah Tonge – d. 7 February 1948, of Epworth, Lincolnshire, widow –to Robert William Tonge, solicitor’s clerk. Stephen Tonge – d. 26 March 1948, of Farnworth, Lancashire – to Lilian Alice Dewhirst, married woman. Thomas Francis Tonge – d. 14 January 1948, of Wallsend, Northumberland – to Catherine Moore, wife of William Moore. William Tonge – d. 18 February 1948, of Swinton, Manchester – to Ada Tonge, widow and Elsie Tonge, spinster. William Thomas Tonge – d. 29 January 1948, of Bolton, Lancashire – to Henry Tonge, master window cleaner and Richard Tonge, ring spinning overlooker. Alfred William Tong – d. 16 December 1948, of County Offaly – to Spencer Newton Tong, farmer. Daisy Annie Tong – d. 7 June 1949, of Winterton, Lincolnshire, wife of Harry Tong – to the said Harry Tong, contractor. Edith Maud Tong – d. 27 December 1948, of Uxbridge, Middlesex, wife of Percy Frank Tong – to the said Percy Frank Tong, GPO telegraphist. Florence Tong – d. 27 December 1948, of Bolton Lancashire, widow – to Alice Openshaw Wood, wife of John Frederick Wood. James Tong – d. 28 June 1949, of Enfield, Middlesex – to Lilian Elizabeth Tong, widow and Albert Horace Freeman, solicitors clerk. James Linton Green Tong – d. 14 July 1949, of Daubhill, Bolton, Lancashire – to Wilfred Edwin Hughes, plate former and Stephen Cartwright, wire worker. Joseph Harry Tong – d. 19 January 1949, of Hull – to Ellen Tong, widow. Mary Tong – d. 18 April 1949, of Shrewsbury, Shropshire, wife of Ernest Tong - to the said Ernest Tong, farm worker. Mary Louisa Tong – d. 9 May 1949, of Ilford, Essex, widow – to Winifred Emma Louisa Tong, spinster. Maude Tong – d. 14 July 1933, of Thornhill, Hampshire, wife of Walter Henry Tong – to William Cyril Donovan Tong, draughtsman and Thomas Ralph Plumer Price, solicitor – a new grant 17 March 1950 in name of Elizabeth Maud Tong. Rebekah Pickering Tong – d. 16 May 1949, of Preston, East Yorkshire, widow – to John Leonard McOwan, fireman and Eva Gertrude Curtis, widow. Alice Tonge – d. 17 August 1926, of Whitefield, Lancashire, widow – to John Allen, commercial traveller. Elizabeth Ann Tonge – d. 10 July 1949, of Patricroft, Lancashire, widow – to Joseph Atkerton, of no occupation. Fred Tonge – d. 9 February 1949, of Lytham, Lancashire – to Marjorie Tonge, widow. Harry Butler Tonge – d. 25 February 1949, of Heaton Chapel, Lancashire – to Walter Harry Tonge, chiropodist and Percy Cyril Tonge, textiles departmental manager. John Thomas Tonge – d. 6 February 1949 – of Middleton, Lancashire – to Fred Tonge, stock keeper. Minnie Julia Tonge – d. 27 December 1948, of Eccles, Lancashire, wife of John Band Tong – to the said John Band Tong, general labourer. Olive Fanny Tonge – d. 4 March 1949, of Lincoln, widow – to Ermin Fitzmaurice Atkinson, wife of the Reverend Cecily Daly Atkinson and Howard Frederick Hobbs, retired Lt. Col. HM Army. Rose Ellen Tonge – d. 2 December 1948, of Nashes Green Herriard near Basingstoke, wife of George Tonge – to the said George Tonge, retired labourer. Samuel Tonge – d. 6 March 1949, of Woodley, Cheshire – to Robert Newton Eades, commercial clerk. Sarah Ann Tonge – d. 30 April 1948, of Merthyr Tydfil, wife of Ambrose James Robert Tonge – to the said Ambrose James Robert Tonge, retired railway driver. Trevor Barton Tonge – 16 August 1949, of South Norwood, Surrey – to Minnie Caroline Tonge, spinster. Walter Tonge – d. 23 April 1949, of Horwich, Lancashire – to Christopher Tonge, chartered accountant. William Tonge – d. 20 June 1947, of Stockport, Cheshire – to Florence Tonge, widow. Albert Charles Tong – d. 13 May 1950, of Portsmouth, Hampshire – to Martha Mary Tong, widow. Charles Henry Tong – d. 8 May 1950, of Sittingbourne, Kent – to Geoffrey Hortin Smith, solicitor and Edward Tong, carpenter and joiner. Elizabeth Maude Tong – d. 14 July 1933, of Bitterne, Southampton, wife of Walter Henry Tong – to Thomas Ralph Plumer Price, solicitor. (Former grants 1933 and 1949 in name of Maude Tong revoked). Gertrude Tong – d. 27 October 1949, of Winterton, Lincolnshire, widow - to William Arthur Tong, steel worker. Grace Asman Tong – d. 23 June 1950, of Worthing, Sussex, spinster – to Frederick Arthur Bevan Braithwaite, stockbroker. Harold Charles Haselwood Tong – d. 20 February 1950, of Waddington, Lincolnshire – to Charles Richard Arthur Tong, brewer, George Laming Tinsley, auctioneer and valuer and Thomas Arnold Mower, solicitor. Harriett Tong – d. 14 March 1950, widow, of Hemel Hempstead, Hertfordshire – to Philip Edwin Johnson, estate agent and valuer. Rachel Annie Tong – d. 7 October 1950, of Leeds, Yorkshire, widow – to Arthur Johnson Tong, body builder. Sidney John Tong – d. 11 October 1949, of Burton on Trent – to Minnie Louisa Tong, widow. William Cyril Donovan Tong – d. 16 November 1949, of Southampton – to Blanche Eleanor Tong, widow. William Herbert Tong – d. 1 September 1950, of Rotherham, Yorkshire – to Linda Tong, widow. Ada Tonge – d. 1 September 1950, of Kearsley, Lancashire, wife of Fred Tonge – to the said Fred Tonge, of no occupation. Alice Tonge – d. 3 July 1950, of Bradford, Yorkshire, widow – to Amy Hardcastle, wife of Clifford Hardcastle. Alice Maude Tonge – d. 14 March 1950, of Henley on Thames, Berkshire, widow – to Janet Catherine Tonge, spinster and William Dacre Tonge, accounts articled clerk. Annie Marie Tonge – d. 18 April 1950, of Warrington, wife of James Cash Tonge – to the said James Cash Tonge, retired shipping clerk and James Reginald Taylor Tonge, insurance agent. Edith Tonge – d. 30 September 1950, of York, spinster – to Constance Jane Lund, spinster. Ellen Tonge – d. 31 October 1950, of Littleborough, Lancashire, spinster – to Douglas Deemer, electrician. Emma Tonge – d. 5 March 1950, of Cleveleys, Lancashire widow – to Jessie Lord, spinster and Harry Lord, retired schoolmaster. Frank Tonge – d. 28 July 1950, of Collingham Bridge, Leeds – to Doris Fanny Tonge, widow. George Tonge – d. 11 October, of Sale, Cheshire – to Wilbraham Tonge, wheelwright and John Hedley Burgess, nurseryman. George Albert Tonge – d. 26 October 1932, of Bolton, Lancashire – to William Bell, of no occupation. Gervaise England Tonge – d. 8 November 1949, of Gravesend, Kent – to Stanley Vincett Tonge, local government official and Phyllis May Tonge, wife of the said Stanley Vincett Tonge. Harry Thomson Tonge – d. 6 August 1949, of Bolton, Lancashire – to Mary Betty Tonge, widow. James William Tonge – d. 30 October 1950, of Ashton under Mersey, Cheshire – to Thomas Johnson Tonge, company director and Joshua William Tonge, borough surveyor. John Tonge – d. 21 November 1949, of Farnworth, Lancashire –to Joseph Tonge, grocer. John George Margrave Tonge – d. 14 December 1949, of Rotherham, Yorkshire – to Nora Hallewell, spinster. Josephine Ellen Tonge – d. 9 August 1938, of Eccles, Lancashire, wife of John Tonge – to the said John Tonge, boiler house foreman and Annie Tonge, married woman. Minnie Tonge – d. 28 February 1950, of Ilford, Essex, wife of Arthur Henry Tonge – to Dorothy Gladys May Callow, married woman and Violet Irene Patricia Tonge, spinster. Norman Cecil Tonge – d. 2 June 1950, of Sunderland – to Gladys Marion Tonge, widow and Herbert Freedman, solicitor. Thomas Henry Tonge – d. 31 December 1949, of Caereinion, Montgomeryshire – to Ethel Alice George, married woman and Alfred George, cerified accountant. Walter Rally Tonge – d. 20 January 1950, of Farnworth, Lancashire – to Joseph Edward Wilkinson and Austin Nuttall, civil servants. William Arthur Sanders Tonge – d. 5 December 1949, of Marple Bridge, Cheshire – to Samuel Boyson, company secretary.